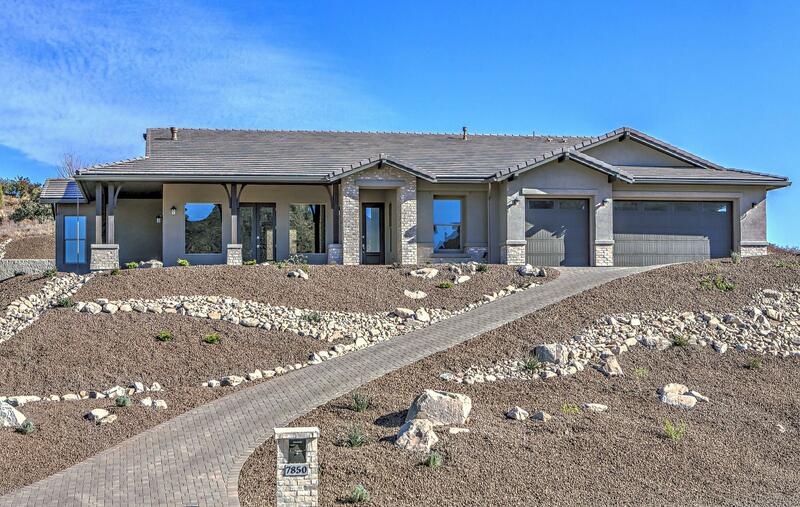 Brand NEW Luxury Custom StoneRidge Home w/Panoramic Mtn & Golf Views! MOVE IN READY near 3/15/19. This is ONE OF A KIND! 2784 SqFt, 4BD/2.5BA/3+ Garage, Braden Homes Superior Quality Construction, Single Level, Premium View Location, Perfect Floor Plan, Luxury Dream Home. Have it All! Open Concept Living w/Gourmet Kitchen, Dining Room & Great Room, Beautiful Quartz Counters & Island, Full Tiled Backsplash, Gourmet S/S Appliances + French Door Refrigerator, Custom Pendant Lighting, Designer Planked Tile Flooring, 36'' Gas Miele Cooktop, Convection Wall Oven, Two Tone Naples Custom Cabinetry, Walk-In Pantry, French Doors, High Ceilings, Hearth to Ceiling Brick Fireplace w/Media Niche Cabinetry & Quartz Hearth. Master w/Views, Oval Garden Tub w/Tile Surround, Designer Tiled Walk-In Shower w/Bench, Dual Quartz Counters, Make-up Vanity, His & Her Walk In Closets, Linen Closet, Sitting Area & Private Toilet Rm. 2x6 Wall Construction, Upgraded Insulation, Sound Abatement Insulation in 70% of Walls, Under-mount Blanco Sinks, Exec Height Counters, Ceiling Fan Pre-wires, Surround Sound Pre-Wires, Security System, Recessed Can Lighting, T4-11 Wood Patio Ceilings, Please See & Print Floor Plan. Estimated Completion is 3/15/19. Pictures are of a Similar home and will be updated as Actual Items are Installed. Builder Name: Braden Homes Inc.